The Jeffersonian team investigates the murder of a high-powered divorce lawyer with a lot of enemies. The plot thickens when the team discovers that the attorney's wife and assistant have been hiding crucial evidence which could help solve the case. 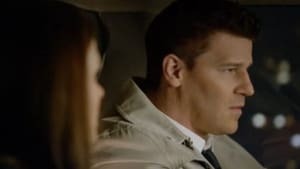 Meanwhile, Brennan tries to adjust to life after being on the run, and tensions start to rise between her and Booth as the impact of their three-month separation begins to take its toll. 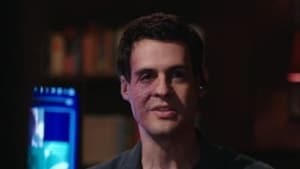 An investigation of human remains found in the aftermath of an explosion in a hotel garage hits a snag when the team learn their assumptions about a man's fate are incorrect. Meanwhile, Sweets gets a temporary partner at the FBI. The team's investigation of the death of an animal expo worker leads them into the shady market for illegal animal trading. Meanwhile, Brennan considers her political aspirations; and Sweets and Daisy confront a change in their relationship. Brennan's new fascination with basketball and legendary coach Phil Jackson's thoughts on teamwork prompts her to gather five of her best "squinterns" to analyze remains that have never been identified. 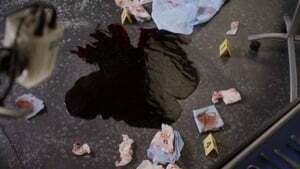 A street artist who is plastering his work on a billboard falls into his glue—and onto a corpse—so the team try to get him unstuck from the remains as they also work to identify the body. 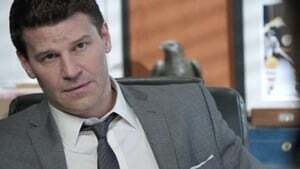 Meanwhile, Booth takes a stab at stand-up comedy at a club's open-mike night to look for suspects; and Angela finds herself attracted to the street artist. The dismembered body of a roller derby skater means Angela goes undercover at the rink to find more clues to the woman's murder. Elsewhere, Cam worries over the sheer number of doctor appointments Booth is going to, and presses him for details. When Brennan is shot while working late at the Jeffersonian lab, she is rushed to the hospital in critical condition. While at the hospital, she struggles with visions of her mother that defy her usual logic. Meanwhile all evidence suggests that Brennan's attacker may be linked to the Jeffersonian. 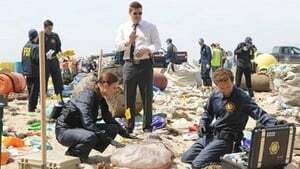 The Jeffersonian team investigates the murder of a TV producer. Meanwhile, Brennan has trouble accepting the fact that Christine might be an "average" child, when her daughter gets accused of biting another classmate. Then, Hodgins uses all of his tools at the Jeffersonian to chemically recreate Finn's special hot sauce. 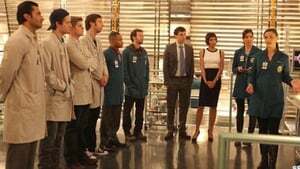 The Jeffersonian team investigates the murder of Jack Spindler, a successful employee at a brokerage firm by day, but a stripper by night. When the team learns how Spindler's moonlighting affected his personal life, they start to question the people closest to him, including his stripper friend, Storm. Meanwhile, Booth's mother shows up after a 24-year absence in his life and makes a special request of him.